Normally I dont add the models from my BoneVibration.com site to this site. People buying the Vibecage are giving me such good feedback I decided to list it here. I never felt a stretch like this before. I will say that 5 minutes of stretching on this with the vibration set on high feels like a 30 minute back massage. My whole back is tinging but the plate stays level so there is no jarring. I think Im gonna throw my Brookstone back massager out now. Note: this only goes on their larger plate model. If anyone wants to make a video for me with the VibeCage I will give a discount. The new VibeCage is now my best selling linear machine. This is the total opposite feel of the models like the Vibratrim VT500. Almost 99% of the people that use this or are looking for something for their bad backs who can't tolerate any movement that shakes their body. The best way to describe this is like putting my feet one one of those Brookstone foot massagers but way more powerful. This is the one that most chiropractors buy out of all my machines. They put people on it before they get adjusted. The Vibe cage just came out and is the coolest thing I have tried since the spiral vibration machine was introduced. I own the VT500 and I also have the VibeCage. The Vibeplate feel is very similar to the feel of the Sonix 3 speaker plate vibration machine in that it doesn't jar me. Most people buy the vibeplates that are under 2000. The Vibecage is their most expensive one . I recommend the non aluminum models as it has a little more force. It has a bigger motor under it. The aluminum ones have a smaller motor but it doesn't have to penetrate as much. The both have about the same power when you take the plate into consideration. 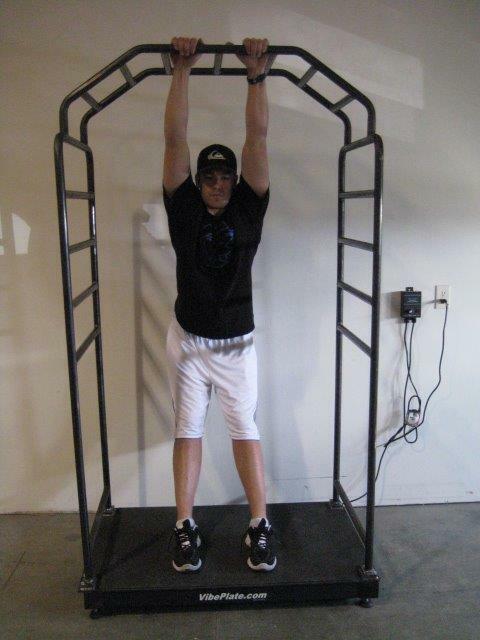 I use the Vibe cage when I get home martial arts because I am alway sore. I take jiu jitsu now. Im still a white belt. dammit. I am trying to get them to put it in their place but these New york gyms are so small they have no room. 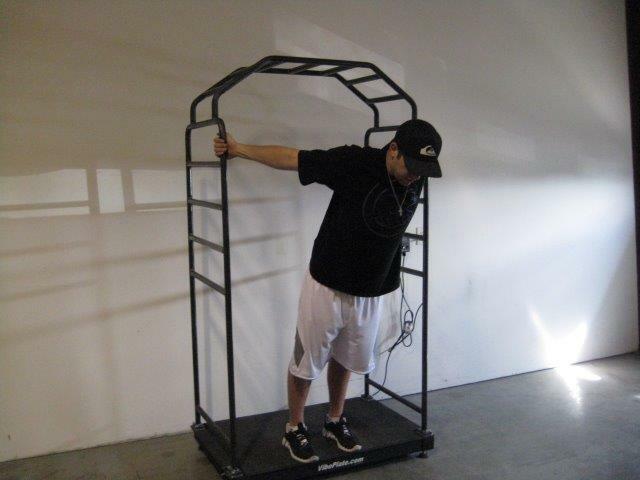 The larger Vibeplates are big enough for 2 people to get on it. It gives enough G force for two people even. 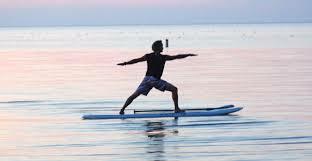 The longer model can fit a yoga mat perfectly and I do yoga on it. I give it the EMF test. Passed. The vibration doesn't jar like the non fixed plate linear models. I do not get complaints on this one from people with bad backs. The plate is fixed and the motor under the plate pulses the plate instead of moving it. 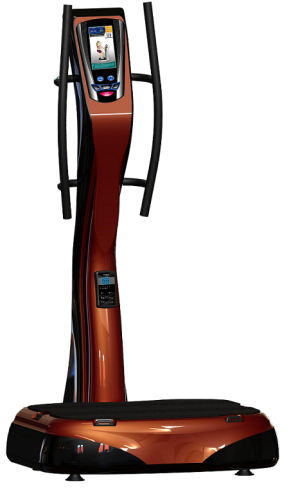 First, it uses less energy than all the other machine on the market with its DC motor (almost zero EMF). The G force is super strong. The motor is about 9 pounds and is just as powerful as the motors that are used on the 10,000 machines such as the Hypergravity.net models that I also carry. Those are moving plates unlike the immobile plate on this brand. Their motors are copper wound, not aluminum windings in the motor like the ones that I took apart that were from China. (not all are aluminum from China, usually the cheap ones and AC motor motels. 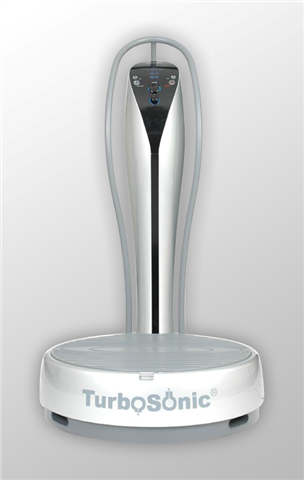 ​Ive sold the Vibeplate since 2010 and not had one return or warranty claim with their 5 year warranty. The Vibe plates each come with a 5 year warranty. 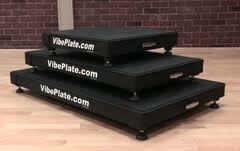 The VIBE PLATE, my second favorite linear machine on the market, outside the $12 thousand dollar Hypergravity. 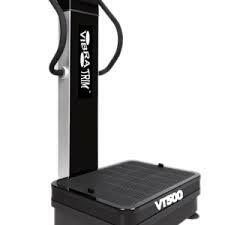 For residential use the Vibe plate is the strongest linear machine on the market that I have tested. The aluminum one I use is 49 lbs that is super lightweight and easy to carry unlike their 180 lbs that their stainless steal version is in the exact same size. The aluminum one is about a third of the weight. I turn it on and get an hour body foot and leg massage every night while I am reading or on the phone. If you call and I am distracted, just tell me to turn it off. I set it on super low when I'm on the phone but it is more relaxing than the high speeds, you feel it like going over a bumpy road when it is on slow. 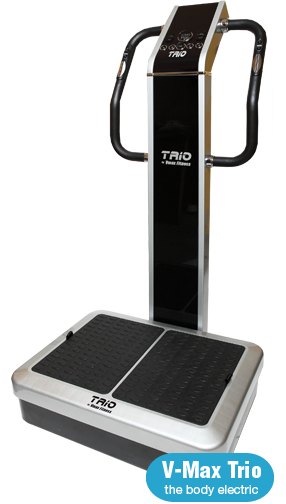 Since this model has been out, many chiropractors and physical therapy clinics now use them because the plate doesn't move or have the risk of jarring someones back and through them up and down like a jack hammer. Don't get me wrong, the ones that the linear plate moves has their pros and cons too. It is just that many people have low bone density and seem to be fragile, especially those who call in telling me they have bad backs. I won't sell them certain machines because I know they will end up complaining. I am usually right when I recommend something, I hear too much positive and negative feedback from each type. Please buy an amp meter from Radio Shack... Like today!!! I have said to many people to go to Radio shack and buy a cheap amp meter so they can see how healthy or unhealthy they are. The range is from - 400 millivolts (mv) all the way to 400 millivolts. If people are in the negative range, the further to -400 the healthier they are. Most people calling my site are in the positive range and the more positive the more health issues people complain about and the more serious the conditions the closer to +400 (positive numbers). Most people that call me are usually about 15 to 20 mv. It is sad but people live their daily lives in this state and when I ask people how they are doing they say, I'm doing fine. Meanwhile, they are in pain and have no where near the vitality they should have. I have tried nearly all the major brands of spiral models. 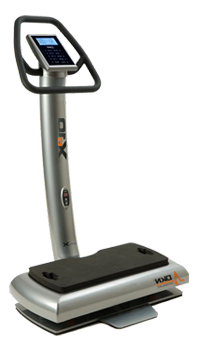 If you need help choosing a vibration machine contact me. 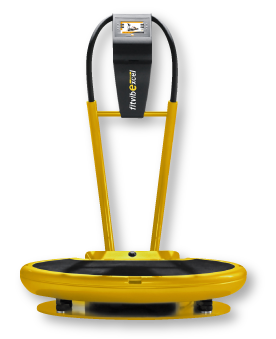 If you need prices on the new VIBEPLATE, call me to see if I have any demos if you need a reduced price. I do demos often and can reserve one if I don't have one. 24in x 40in model is the most popular. Make sure you know which one you want. Aluminum or Steal. Both are good but both have their pros and cons. The main difference si that the steal one has more G force but the aluminum plate is lighter. For people under 150 lbs the difference is negligable. For heavy people, the steal one is probably the best one to get. Both work work but the steal one is just more intense. The aluminum is lighter and vibrates more itself while the heavy steal one vibrates less and sends the pulses to the body more. The aluminum seems to make people itch quicker. 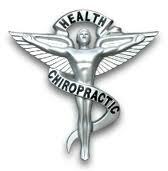 Most of the chiropractors previously didn't use the linear as it was known as the jack hammer. The Vibeplate doesn't as the plate is built in and does not to move. The motor also does not give off EMF to anyone on the plate. I have a video on this page that you can watch and see how no Emf is registered on the EMF meter. My recommendation: I definitely would recommend the Vibeplate to anyone mostly for rehab and sports performance and circulation issues. 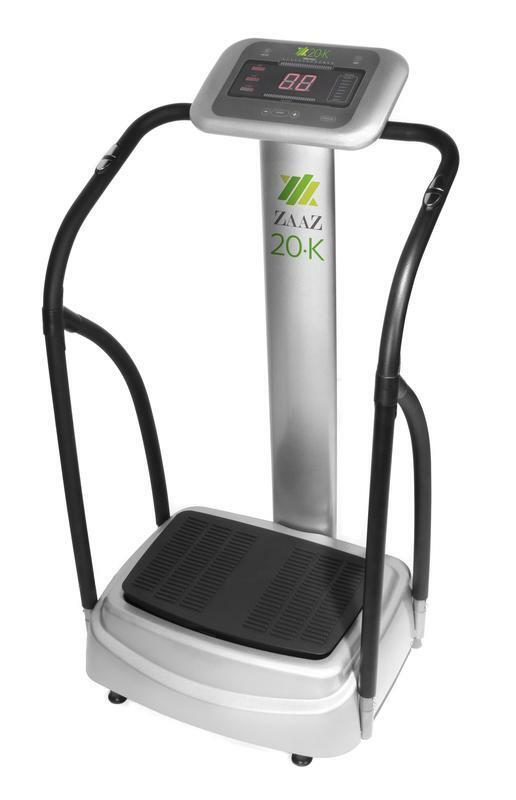 For lymphatic, it does go to 10 hertz but this is more of a serious machine for someone who has bone density concerns and wants to maximize their workouts. Basically, it doesn't focus on lymph drainage. It is perfect perfect perfect for bone density and getting the craziest workout you ever had if you do the same exercises you would normally do in the gym. You can do pushups on it, crunches, and squats and probably do 60% of what you would normally do on the highest setting. For those that have bad backs and can't handle any movement and want to move lymph with a bad back, this one can be some people's only choice. 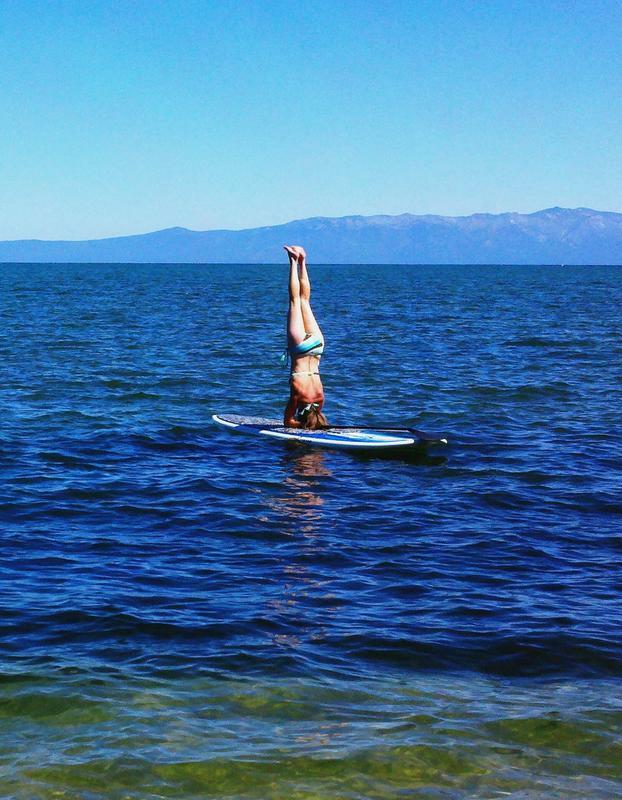 Doing yoga on the water is the latest thing. doing yoga on the Vibeplate is much more intense. 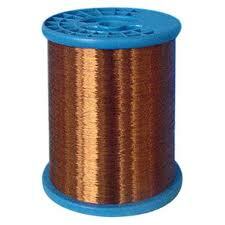 Copper wire doesnt oxidize when the machine is used for long periods of time. 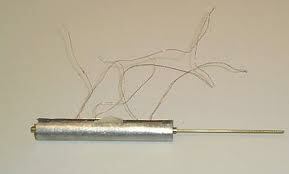 Aluminum motor winding wire is much cheaper. Vibeplate only uses copper winding. Copper windings are much more energy efficient to run the motor. The Vibe plate when we hooked it up to the Kill-o-Watt meter was the least expensive to run out of all the machines I have tested. These cost around 25 to 30 dollars at Radio Shack. Everyone should have one or at least know their body voltage. If I know my voltage is getting lower, I know something is wrong. I can almost always guess my voltage by the way I feel. 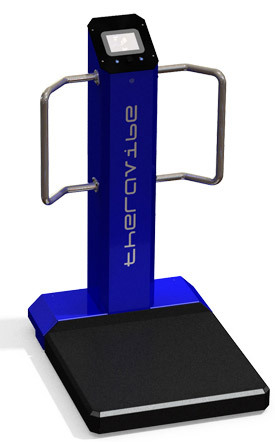 if you want our freebie package and FREE balance bar we have on the Vibeplate machine. You can also give this code to the manufacture at VibePlate.com. Call 1-866-945-9072 to get promo code for the VibeCage. We don't stock them dueto their size. Many people want the benefits of increasing their bone density but cannot handle any up and down movement, even 1mm of up and down plate movement. Some people have very bad blood circulation and prefer to stand on a plate that doesn't actually move but only vibrates. The vibrations go through the plate,rather than moving the plate up and down as it is fixed and is not on a spring system like earlier generation linear machines. 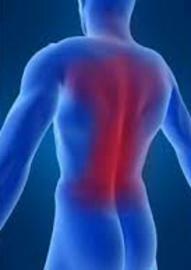 After selling the higher acceleration, higher amplitude linear machines, many people have returned them saying that their backs hurt even though they notice results. I don't hear that with this brand ever. I never hear of people getting the blurry vision and eyes tearing. 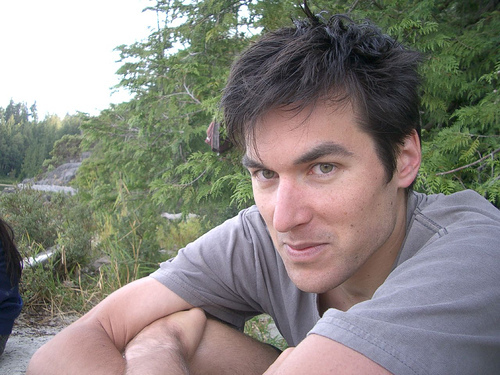 For people that are young and have a strong back, the non-fixed linear plates rarely have have complaints. I usually prefer to only sell this type if someone has a bad back or low bone density already. Only authorized dealers carry the 3rd generation Vibeplates. There are other look a-likes that look very similar to the Vibeplate and others that bought the old louder stock from the manufacture years ago when they first came out. Feel free to verify us as an authorized dealer. We have been a dealer since the beginning of our site.